By definition, a slip and fall accident is used to describe when someone slips, trips or falls and is injured as a result. Quite often, these types of injuries occur on another person’s property or in the workplace, in which case a premises liability claim may be filed against the property owner. It’s important to note that while there can be many contributing factors to a slip and fall injury, it can be very difficult to prove the validity of your claim due to the large number of fraudulent claims that have been made over recent years. When this factor is combined with the large amount of surveillance equipment that many businesses use on, in and around their premises, your claim needs to be very accurate and robust in order to withstand the litigation process. With this in mind, over time that are a number of genuine situations that have consistently proven to increase the chances of a slip, trip or fall accident occurring. As with any serious accident, the victims involved in a slip, trip or fall can often suffer multiple injuries. 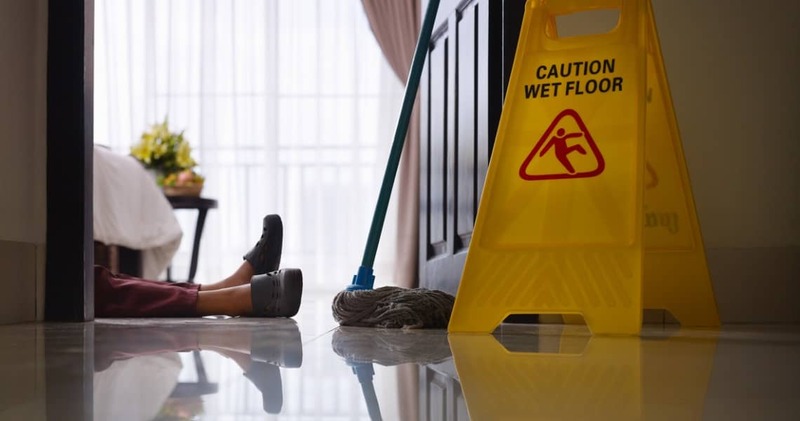 Due to the unexpected nature of this type of accident, a slip and fall injury can also range from minor strains or sprains to much more serious, life-altering damages. It’s important to add that these injuries can be magnified depending on what surface the victim falls onto – concrete for example, is much less forgiving than a thick, well manicured lawn.